Back to School Drop in, August 12th! 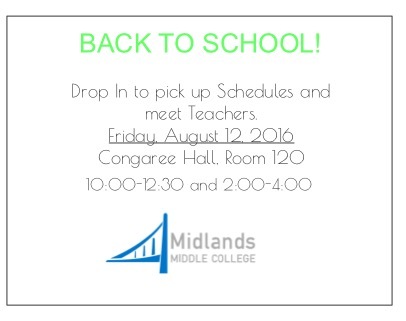 Join us August 12th to pick up your schedules and meet your teachers! Come by Congaree Hall, Room 120 between 10:00 am and 12:30 pm, or between 2:00-4:00 pm. MMC Board will meet on Thursday, August 11, 8:00-9:15 AM, Academic Center, Room 139. Now Accepting Applications for the 2016-2017 School Year! Apply now by clicking here. Applications will be accepted until all seats are filled. Midlands Middle College Charter High School is seeking a full time secondary math teacher for the 2016-2017 academic year. Candidate should have valid SC certification in secondary math; prefer minimum of three years’ classroom experience. Applications should be submitted through CERRA.org or emailed to info@midlandsmiddlecollege.com. The next Midlands Middle College Board Meeting is scheduled for Thursday, January 28, from 8:00-9:15 AM, in the Academic Center, room 139. We look forward to seeing our board members there. Students, don’t forget that classes resume on Tuesday, January 5th at 11:00 am. We hope you enjoyed your holiday break and we look forward to seeing you next week! On December 8th, Midlands Middle College held a barbecue dinner and silent auction to benefit those affected by the severe flooding in our area this past October. There was a great turnout and the event raised almost seventeen hundred dollars. 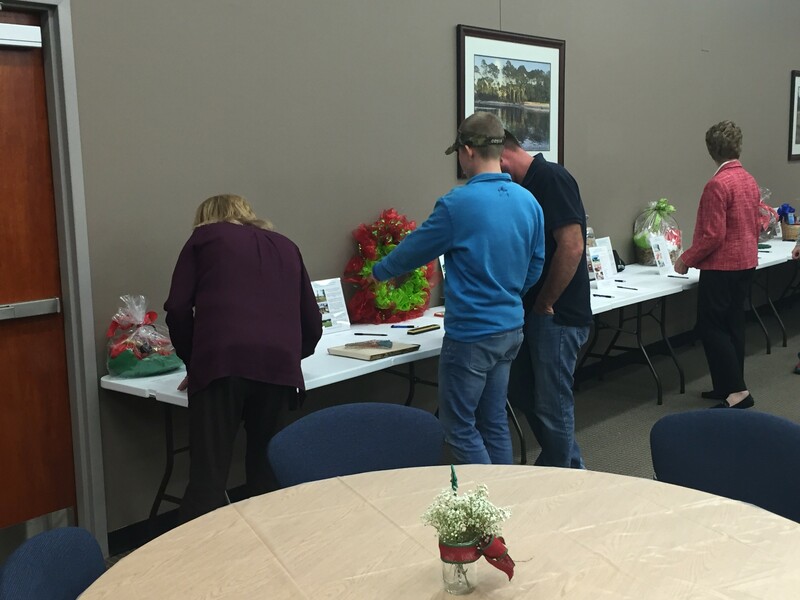 These funds will be used to purchase Christmas items for children of families who were displaced during the flood. 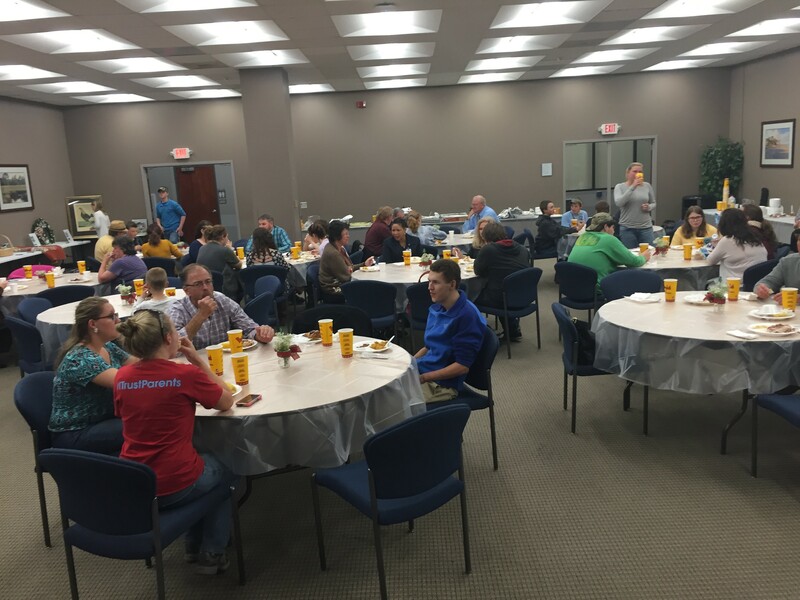 Everyone involved had a great time planning, preparing, and participating in this event! Thank you to everyone who attended and to those who helped orchestrate this great event.